We will start any order in 15 minutes upon receipt of your payment and send the start screen shot to your email. There is no waiting time. It is impossible. Our service is manual. We arrange real players to level your account through completing quests just as the way you play in game yourself. 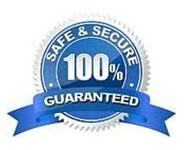 We can insure your account absolutely safe with us. Will you compensate me in case my account is banned? In fact, it is impossible that your account will be banned with our service. If your account is banned due to our fault, we will refund your money or level a new charactar for you. We will keep all your original items (including gears and gold) on your account. Besides, all the stuffs dropped during our leveling time will also be kept for your character. What will you respond if other players talk to my charactar in game? We will ignore others’ whispers or respond: “Sorry, I am a little busy now”. You also can tell us what you want us to respond via live chat. And we will respond on your request. If you want us to level your toon in the guild, just write in the remark table when you make order or our CSR via live chat. We will send the latest screen shot to your email every 24 hours. In addition, whenever you want to know the current status, please be free to contact us via live chat or other contact methods, we will report the current level to you promptly. Can I play awhile during the power leveling time? Yes, you can. Whenever you want to log into your account, please contact us via live chat or email first, then our CSR will arrange for you. But in order to ensure the safety of your account, we don’t suggest you to log on too frequently.